Learn about the University of Washington's UACT Program through this collection of interviews and resources. 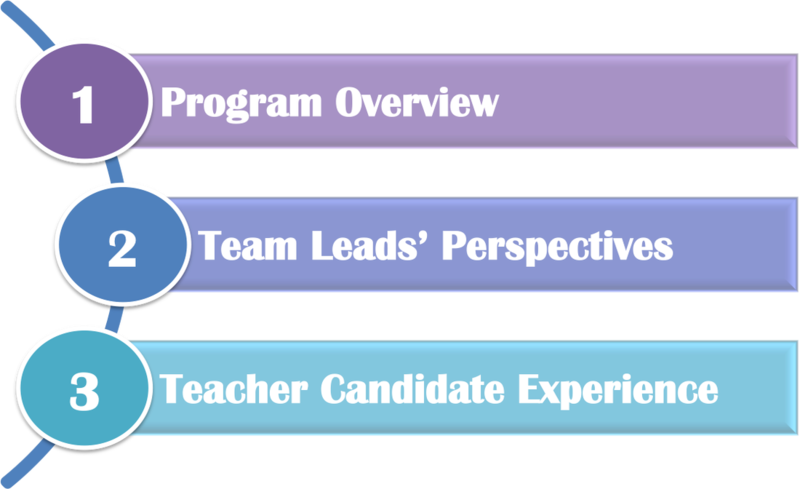 This web resource provides a video-based overview of the program's design rationale, pedagogical approaches, and candidate experience. Through this site, you will also learn about some of the advanced teacher education thinking at work in the program. This begins with the Program Overview, in the form of a talk given by Dr. Morva McDonald at the University of Washington's College of Education. Then, you will encounter the Team Leads' Perspective on the UACT program, where Dr. Megan Kelley-Petersen and Katie Danielson provide a view of their role in training new teachers. Finally, you will meet Mr. Kenneth Maldonado and learn about the program from the perspective of the Teacher Candidate Experience. Please click on the links below to access the video resources.